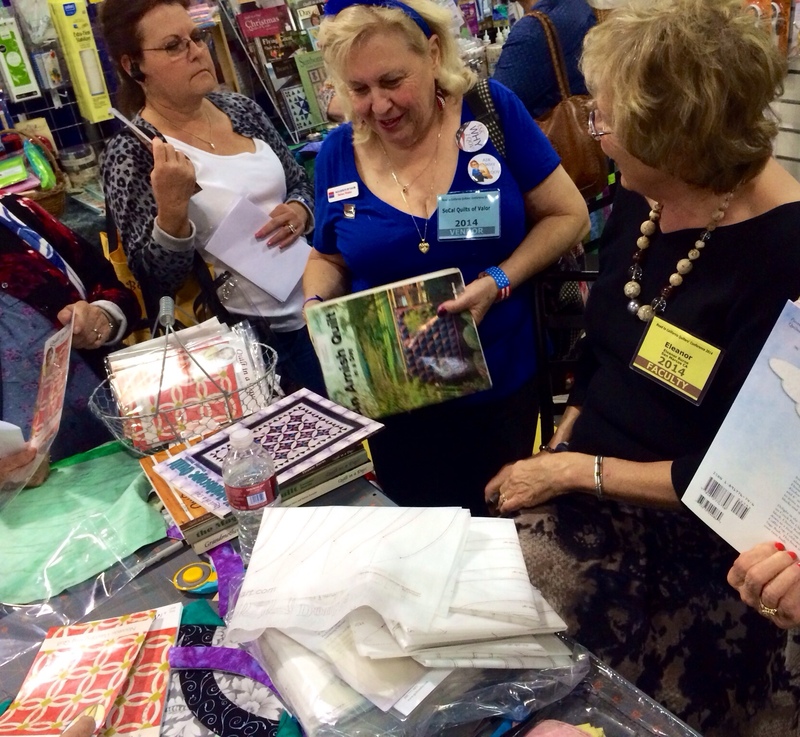 As quickly as 2014 came, so did Road to California! 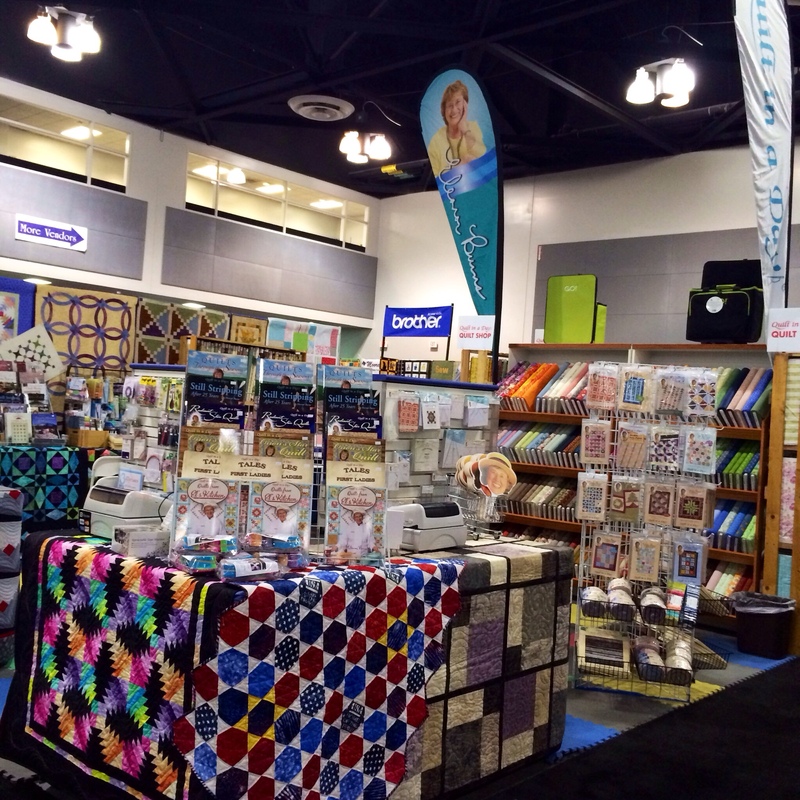 Road 2 California Quilter’s Conference and Showcase has made it possible, once again, for quilt shops, vendors , teachers, authors and quilters to gather together and share our passion for quilting. 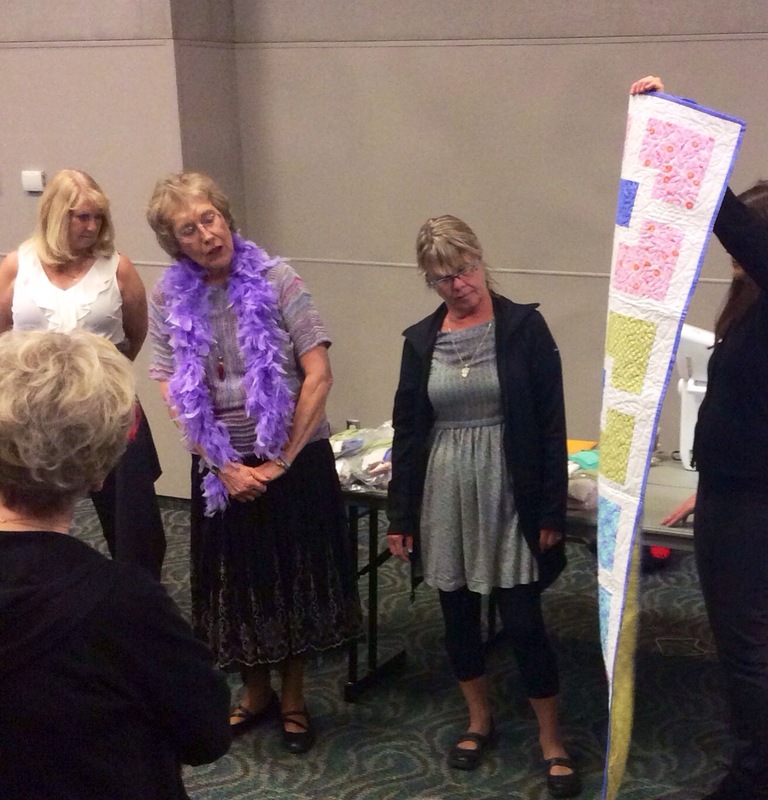 There were classes, lectures and presentations on various quilting topics everyday. 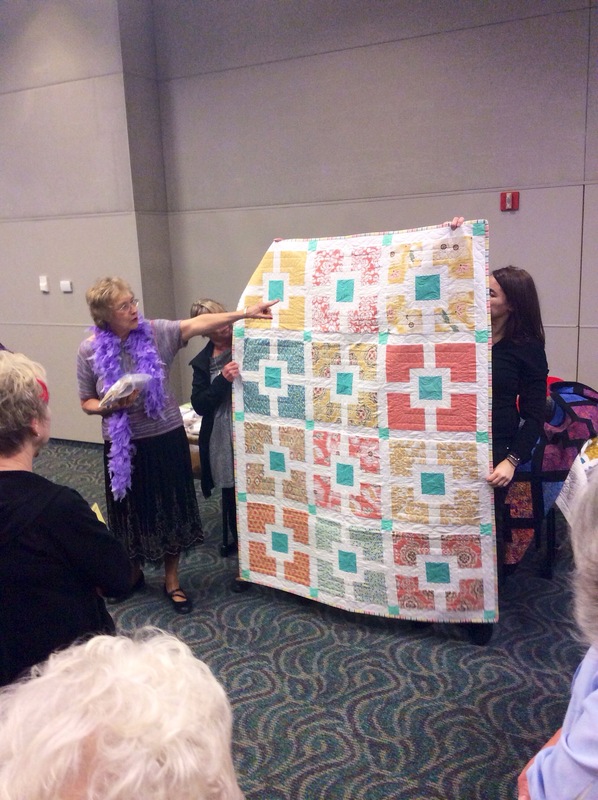 And it wouldn’t be a Quilters Conference without an abundance of breathtaking quilts on display! 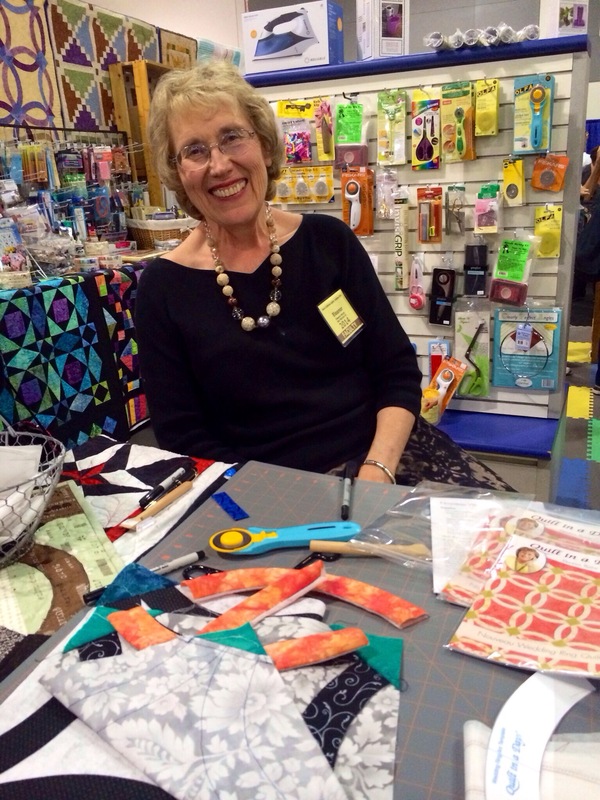 I taught my “Hole in the Wall” class with Sue and it was so much fun! 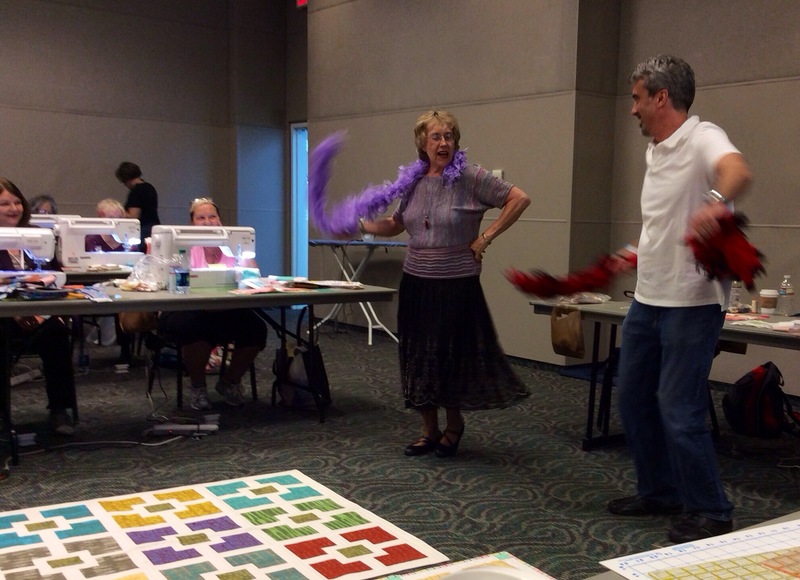 Even George from Babylock joined in the fun and stripped with me! 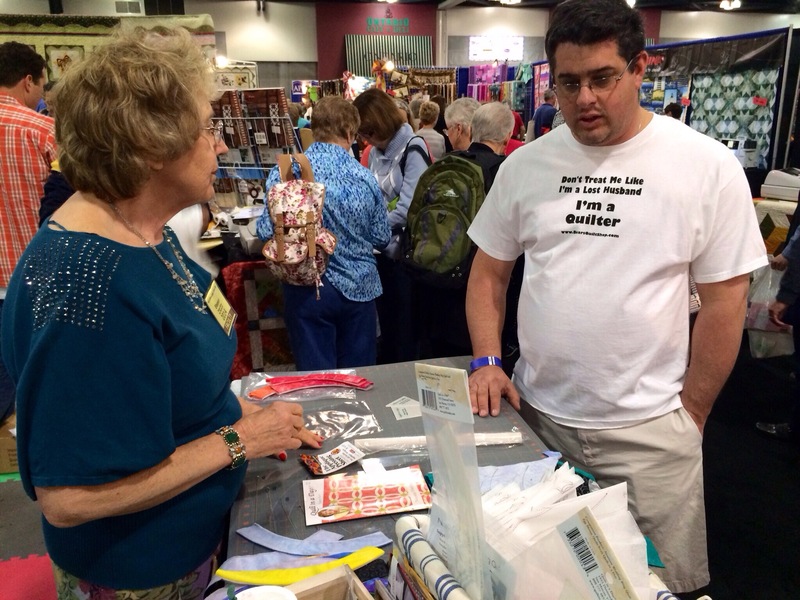 In between teaching my classes and lectures, I was giving demos at our Quilt in a Day booth. I demonstrated how to make our fun and easy Nouveau Wedding Ring pattern as well as how to use our new Wonky Ruler! 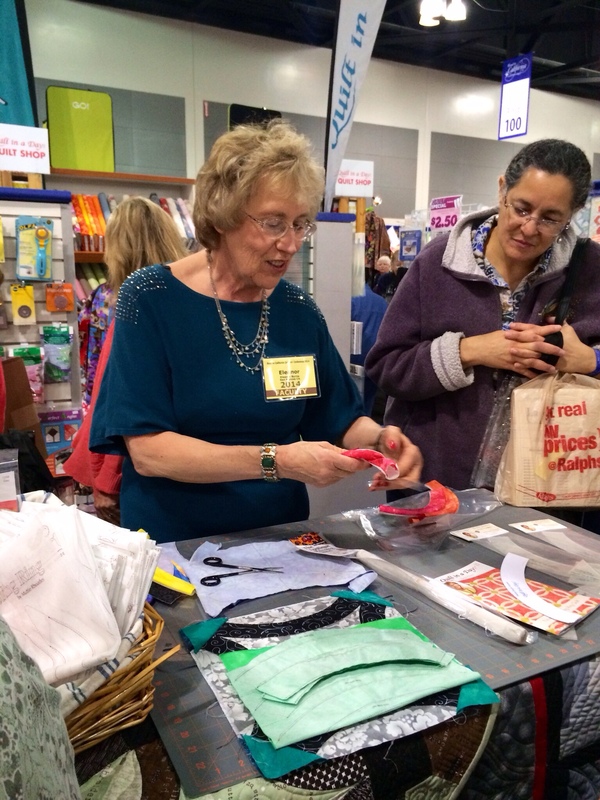 Did you see any of my demonstrations? What did you think? 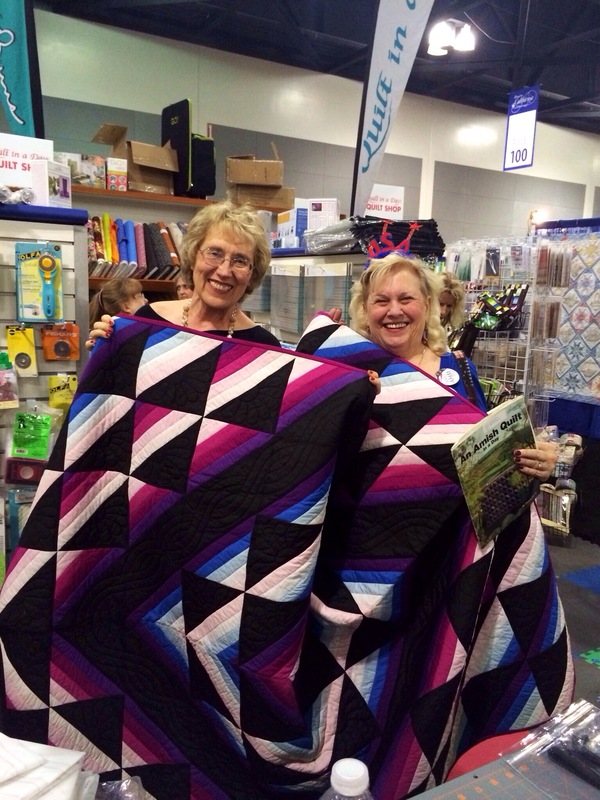 I am always flattered when my students show me the quilts they’ve made with my patterns and books! It reminds me why I started teaching in the first place! Thank you all for starting this new year off great! 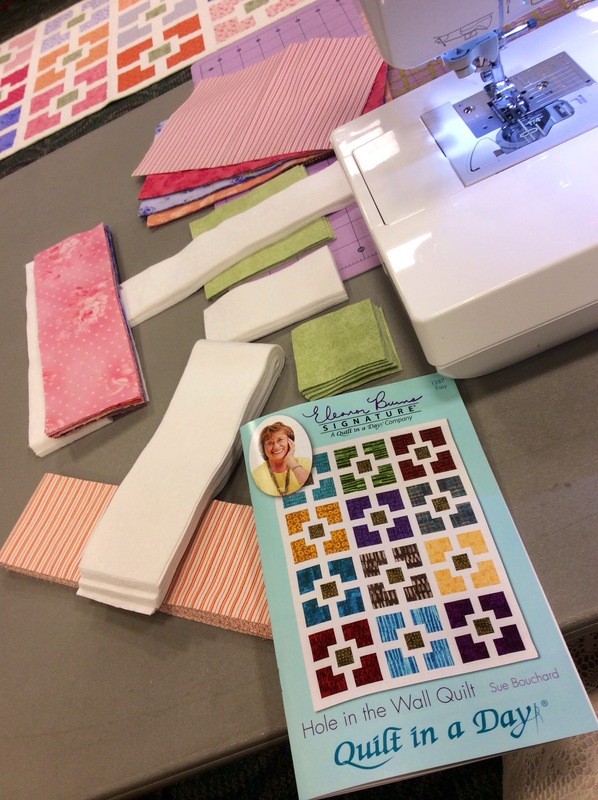 The Block Party and the AccuQuilt Sampler class has already begun! 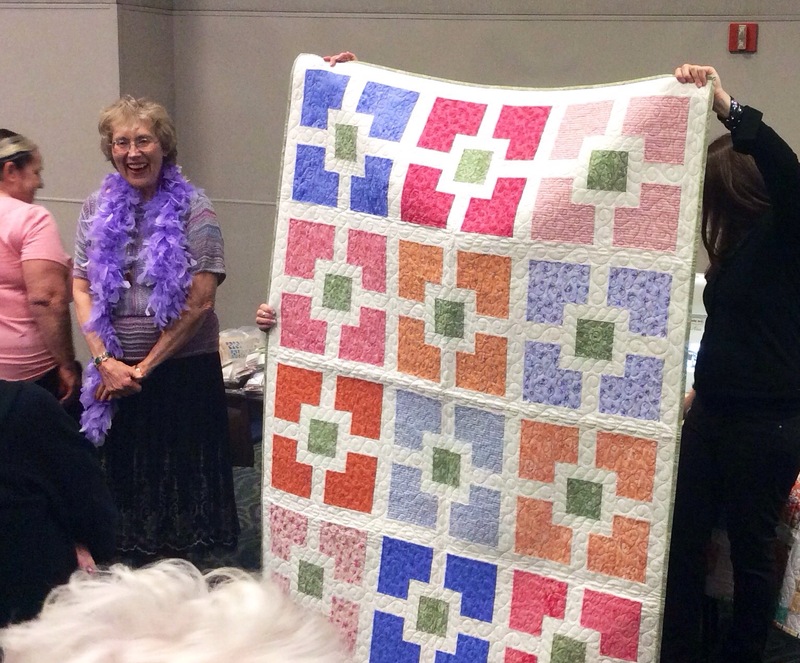 Our classes are held at the Quilt in a Day location in San Marcos, CA. 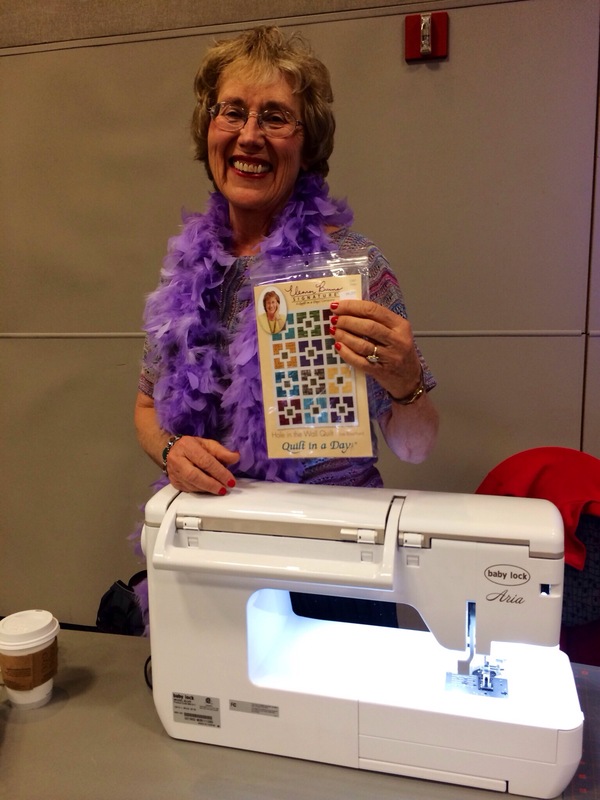 It’s not too late to sign up, come join me for a fun day!